In the third episode of Turnbuckle Radio, Brian and Trevor breakdown the action in the May 15, 2013 broadcast airing of NXT in Full Sail, Florida. This episode includes matches with Summer Rae/Natalya, Bray Wyatt, Connor O’ Brien, Big E Langston/Damien Sandow, and the studio debut of Sami Zayn, formerly known as El Generico of Ring of Honor. 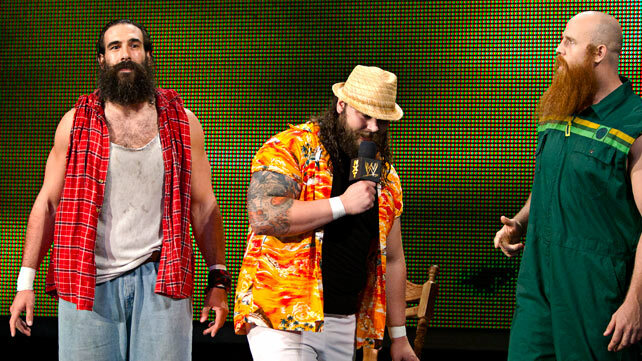 Tags: Big E Langston, Bray Wyatt, Connor O' Brien, Damien Sandow, Florida, NXT, Turnbuckle Radio, WWE, WWE NXT. Bookmark the permalink.